Monday’s football game at Macron Stadium pits together Bolton and WBA, the two teams who have entirely different ambitions in the second half of the season. 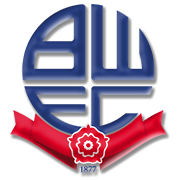 Bolton aim to secure the Championship survival, whilst WBA are determined to secure automatic promotion to the Premier League. The Trotters have been struggling at the back of late, with the team conceding eight goals in total in previous two league fixtures, therefore, we do not believe that they are capable of beating the promotion-chasing side. The Baggies, on the other hand, failed to win previous three league fixtures, but they are definitely capable of beating the relegation strugglers on Matchday 28. Rodriguez and Gayle have netted 27 goals between each other in the 2018/2019 season and all eyes will be on the duo when the two sides face each other at Macron Stadium on Monday evening.